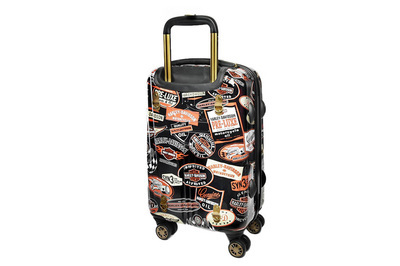 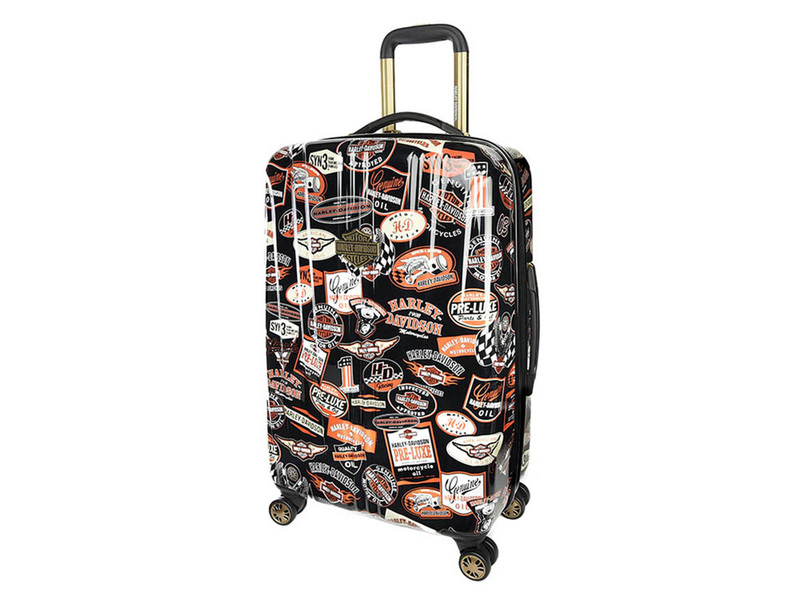 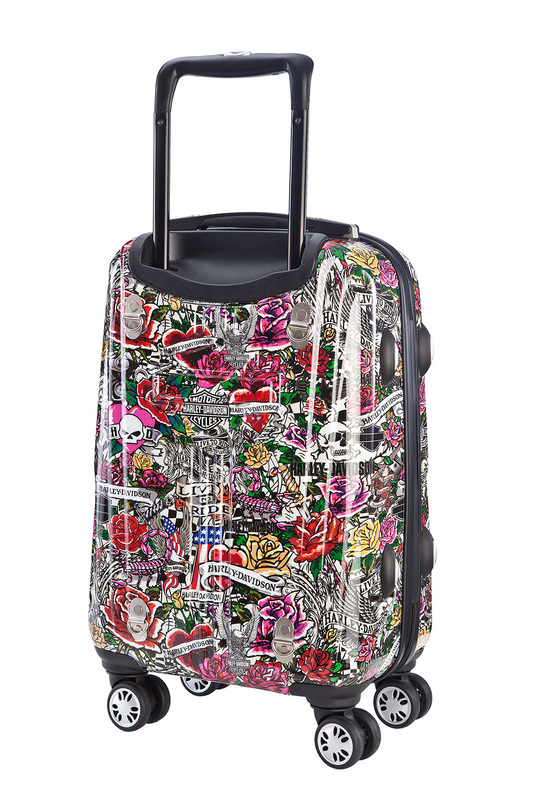 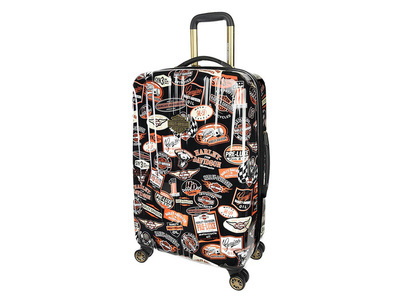 Available in eye-catching prints, this rolling carry-on case is perfect for any overnight trip or weekend getaway. 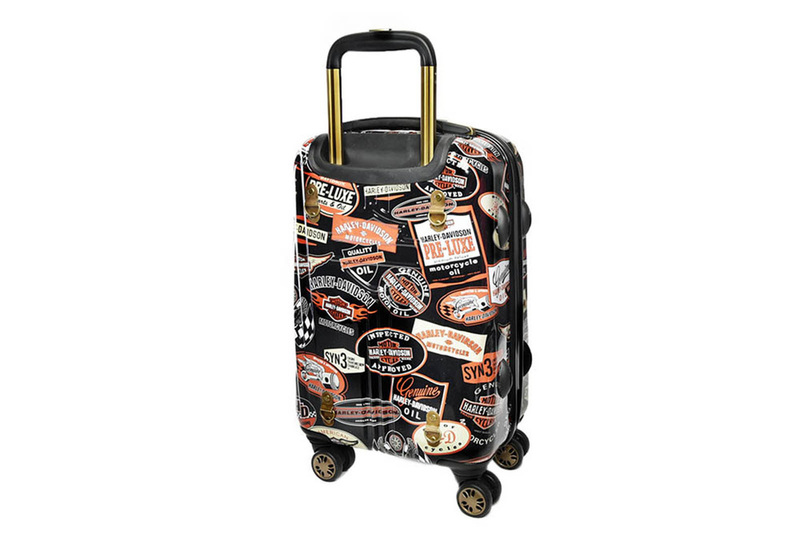 The Harley Davidson by Athalon 25" Molded Carry-On w/ Spinner Wheels is constructed from lightweight and durable polycarbonate material and features a sleek hard-side design with a hidden telescoping pull handle, eight 360 degree spinner wheels that make it incredibly easy to maneuver, and top and side grab handles for easy lifting. 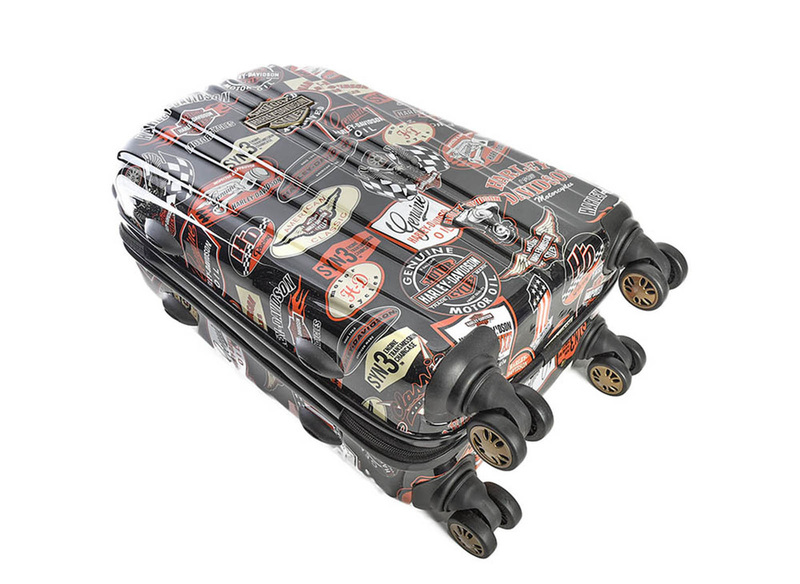 Lined and detailed with crisscross straps to hold garments in place, this roller case features a well-organized design with a separate front zipper compartment that includes a pocket for your laptop and organizer pockets to hold your cell phone, pens, and other small accessories. 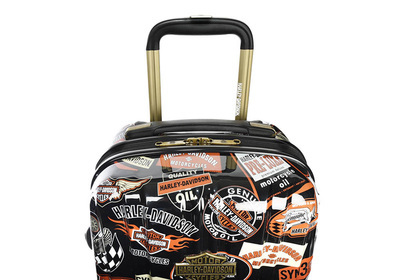 Exterior Dimensions: 25" x 16" x 9"